Designs for Next Phase of Holly Square! 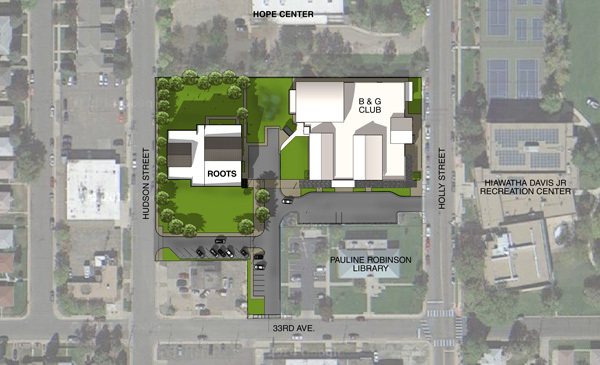 ULC is thrilled to show off the next phase of development taking place at Holly Square in Northeast Park Hill! 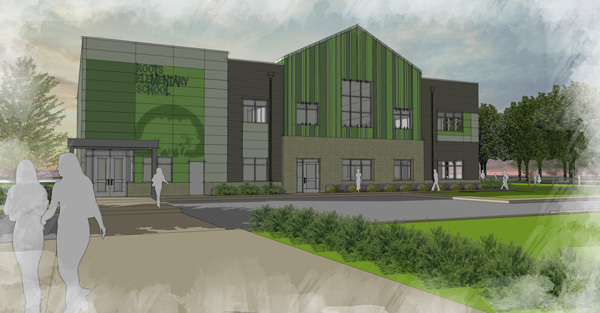 Our incredible partner, Roots Elementary School, has finalized design plans for a brand new beautiful school facility. The new facility main entry exterior will blend very well with the existing Boys & Girls Club using similar materials and colors. And the Roots logo treatment as an exterior green tone on tone painted mural at the main entry is something we are excited to see! It is hard to believe Holly Square was the site of a dangerous burned down building less than 10 years ago, now it continues to become a beautiful, safe children’s campus that truly benefits the community!